Sisters, as the old Eurythmics hit goes, are doing it for themselves and Caroline O’Driscoll is living, breathing evidence of the sheer truth of these popular lyrics. A tax lawyer by profession – Caroline provides corporate and international tax advice to multinational companies – she has a driving passion to encourage more female students to take up subjects like science, technology, engineering and maths (STEM). In her day-job as a partner at KPMG, O’Driscoll advises high-growth indigenous companies, particularly in the technology sector, as they rapidly expand their business within Ireland and into international markets. It was that very move into the area of IT – she now sits on KPMG’s National Technology Group which leads the firm’s strategy in this sector – that originally led to the establishment of her popular ‘I Wish’ campaign. Effectively, she realised, employees were being drawn, quite literally, from only about half the population. “I thought we needed to look closer at this issue” she says. So when Gillian Keating, then president of Cork Chamber of Commerce, sent her an email to which she had attached a thought-provoking newspaper article about coding and women, O’Driscoll was happy to meet with her. 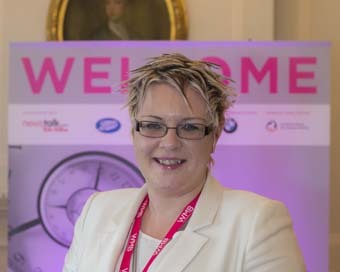 Ruth Buckley, head of ICT in Cork City Council joined that 2014 round table session. Deeply concerned about the lack of female take-up of STEM-related careers, the trio decided to do something about it. They set up the ‘I Wish’ organisation. During their research into potential reasons for the lack of women in IT, they discovered that one of the main issues for girls was the lack of female role models. “We put together a conference in February 2015 of high-profile female role models in the STEM sector,” O’Driscoll recalls. Such was the phenomenally positive feedback to the 2015 event, that next year’s conference, which will take place on February 11th and 12th 2016, has been expanded to a two-day event facilitating 2,000 students. And in 2016, first-year students will be welcome to attend, says O’Driscoll, now Vice Chair of IT@Cork: “Schools are welcome to bring first year students to the 2016 event, in which there are four sessions a day facilitating 250 girls at each.” She says, adding that parents are also invited. Who will you nominate for the Boots WMB Empowering Women Award 2016?